Google is splitting its index of search results into separate versions for mobile and desktop, a change which will happen in the coming months. The split will see Google’s index broken into a rapidly updated mobile version, and a desktop version which will not be updated as frequently. This news was broken by Google’s Gary Illyes at Pubcon in Las Vegas, and again confirmed on Twitter following his keynote. 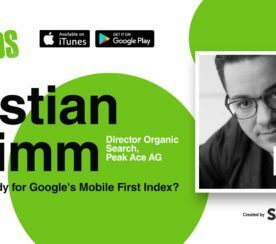 Prioritizing the mobile search index over desktop could be seen as a natural progression in Google’s quest to create a better mobile search experience. 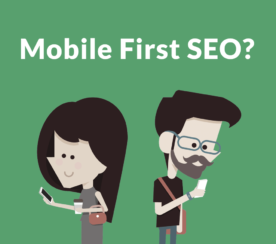 It’s fair to say that Google is going mobile-first, which is something the company has long encouraged site owners to do ever since the infamous Mobilegeddon in April 2015. Google splitting its search index is also a sign of the company adapting to the paradigm shift of mobile search overtaking desktop search. 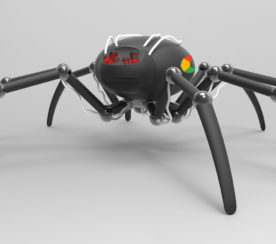 Having a separate index for mobile creates an opportunity for Googlebot to strictly crawl the responsive/mobile version of a web page and index it accordingly. This could lead to Google delivering better mobile-optimized content to people searching on smartphones. In addition, with expedited indexing, Google can get breaking news out to users faster than ever before. What Does This Mean for Site Owners and SEOs? 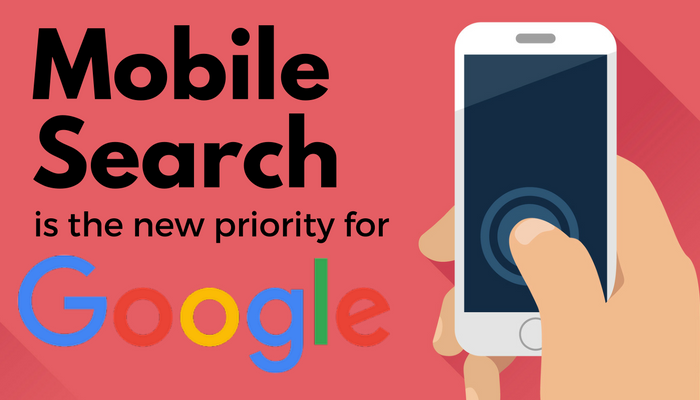 With the announcement of an upcoming split of Google’s search index, the company is making an emphatic statement that mobile search is more important than desktop search. Google prioritizing mobile over desktop sends a message that SEOs and site owners should do the same. At the very least, this means having either a mobile or responsive version of your website. However, that’s just the bare minimum. Having a mobile-optimized website is not enough. Speed also matters — not just to Google’s ranking algorithm, but to users as well. According to Google, 53% of users will abandon a site or web page if it doesn’t load within 3 seconds. The best way to optimize your site for speed is to publish content using Accelerated Mobile Pages (AMP) technology. If you’re not yet on board with AMP, I would recommend regularly checking on your mobile page speed using Google’s testing tool. Keep load times as low as possible. If you regularly publish news about your industry, getting listed in Google News is a must, if you have not already done so. This will not only fast-track the indexing of your content, it will make your content more visible in search results. Ideally, site owners should have these bases covered before Google splits its search index. No exact time frame was given as to when the split will happen, but in this industry, it never hurts to be proactive.